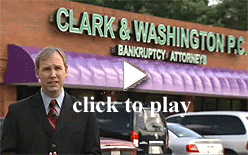 Co-founded by Emory L. Clark in 1983, Clark & Washington has grown to be one of the largest filers of bankruptcies in the Southeastern United States. 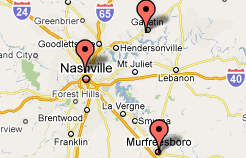 With convenient office locations in Florida, Georgia, and Tennessee, Clark & Washington provides counsel and support to individuals facing trying financial times. We focus exclusively on personal bankruptcy work, specializing in chapter 13 and chapter 7 cases. Our friendly, professional staff and attorneys have the knowledge and experience to answer your questions and to help you avoid any potential pitfalls in the bankruptcy process. Since our inception, we have striven to help as many people as possible achieve a brighter financial future. This is evident in our lawyers' strong presence in various community organizations and in our large pro bono case load. We are thankful for the opportunity to provide much needed assistance to those community members who are unable to obtain it for themselves. Smart choices today can help you realize the future you deserve. Trust the bankruptcy experts at Clark & Washington to help relieve the financial burdens that are overwhelming your life.